Wish you all a wonderful weekend, best for the rest of it. As some of you might know, I was in Berlin to visit my friends. It was a lovely weekend for me despite of a long drive. I was hoping to see Tom Ford Spring 2016 in person, because we don't have a counter in Stuttgart but unfortunately they were not in stores just yet. I was very naughty though and ended up purchasing one more pair of Dior earrings for myself as a celebration of the end of the semester. We always find an excuse to be spendy right? Anyways, they are not Tribals, this time I went for a slightly different design. You will see more about it with the next FOTDs. Other than that, I was a good blogger and prepared this post before we started driving on Thursday at the expense of us getting late, just to remember, on the road, that I forgot to take the perfume bottle with me. Now, I can't really write a proper perfume review without spraying myself from head to toe and sniffing myself while typing. You got the funny image? That is al right! 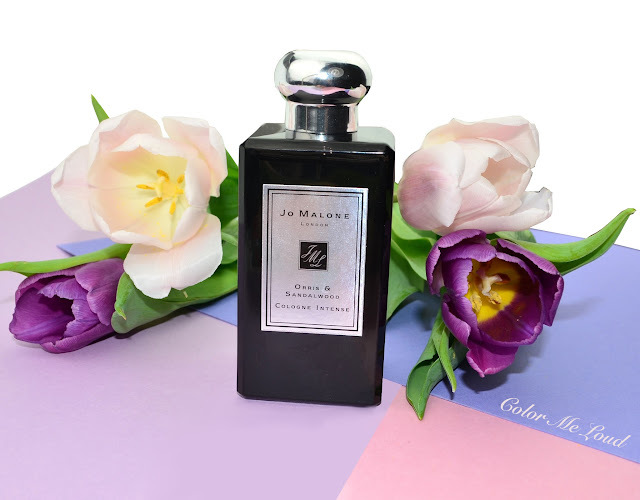 I have been loving the new addition to Jo Malone's Cologne Intense line. It is called Orris & Sandalwood and it is all kinds of woody and moody, exactly like how I love it. More? After the jump! I wouldn't classify Jo Malone London Orris & Sandalwood Cologne Intense was a floral, but more as a woody unisex gorgeousness with a touch of iris if there is a category like this. Those who like it woody and unisex without being spicy, this fragrance is for you. I fall into the category so I jumped with joy as I took a whiff. But even better was about to come. 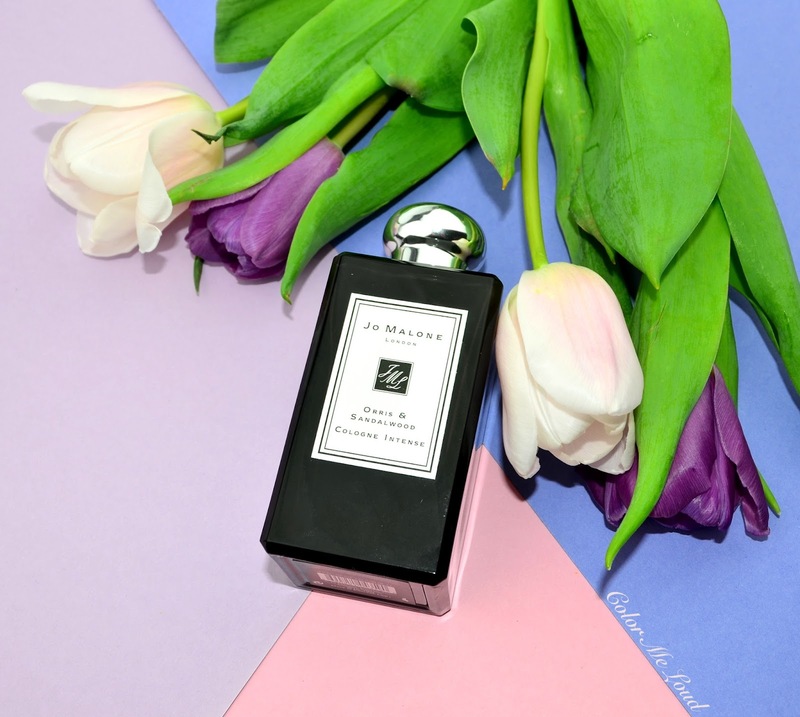 I layered it with Jo Malone Mimosa & Cardamom (reviewed here)! The combination is out of heaven. Mimosa & Cardamom is a very interesting blend which is a little sweet and floral but still I love it, which is rare for me. I have written before though, in my review, that I would prefer it a bit more woody. Once the two meet, they deliver the best of both worlds: more wood, less dryness, sweetness neutralizes bitterness, a bit more of spices in there which combines beautifully with the rest. I think the combination is a touch more feminine although not overpowering, still the way I like it. If you have Mimosa & Cardamom, make sure to try it out with Orris & Sandalwood. I bet you'll love it even more. The other combination which I tried was with Dark Amber & Ginger Lily Cologne Intense (reviewed here). Dark Amber gives a more ambery touch to the composition and it becomes slightly more powdery. Since both of the fragrances have a sandalwood base, it becomes more woody too but this is nicely balanced out with the florals and a touch of spice. This combination was nice but didn't knock me off my socks like Mimosa & Orris duo. Check out the review at Best Things in Beauty too. I think her descriptions are very accurate. 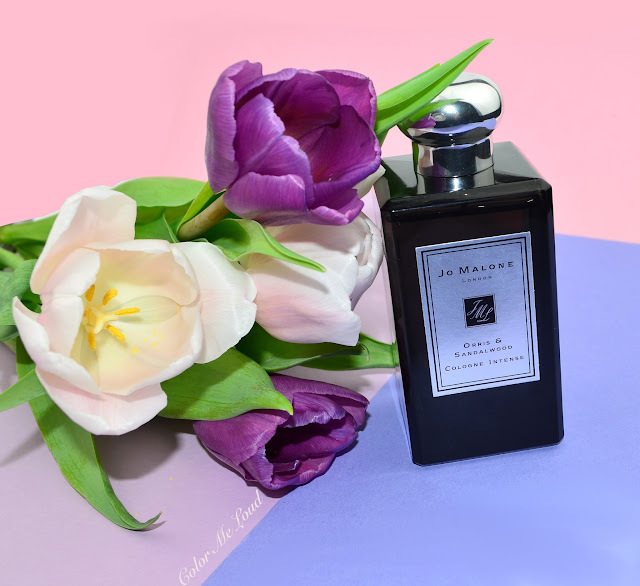 Final thoughts: The new Jo Malone Cologne Intense is a beautiful unisex blend which is dry, creamy, woody fragrance with a touch of bitterness without being herbal or spicy. This especially hits the spot for woody fragrance lovers *shows herself proudly*. If you like it a little milder, maybe with a touch of more femininity and some more florals, the magic happens once Orris & Sandalwood meet Mimosa & Cardamom. What a duet these two can sing! I am in love for the rest of the winter. Who else is there with me in the unisex woody fragrance boat? Raise your hands! I am only into vintage perfumes and oils so no comment there except to say, " You HID it?" And you are proud of it?" Now that is something I can resonate with. You might be right. I am a girl who like hubby's perfumes most and not only on him but also on me! So for me unisex fragrances are the best but I can see many needing to layer it over a sweeter, more feminine fragrance to make it work. Hahaha I am so proud of it because I don't want my perfumes getting empty before I know it :-)) I would do it again, without a shame! Oh gosh, I love Orris, and I love Sandalwood. I need to find this.... stupid JM in Singapore does not stock the cologne intense!! I do wish these intense come in the smaller bottles though, I don't use up my fragrances so quickly. OK, i'm off hunting now!